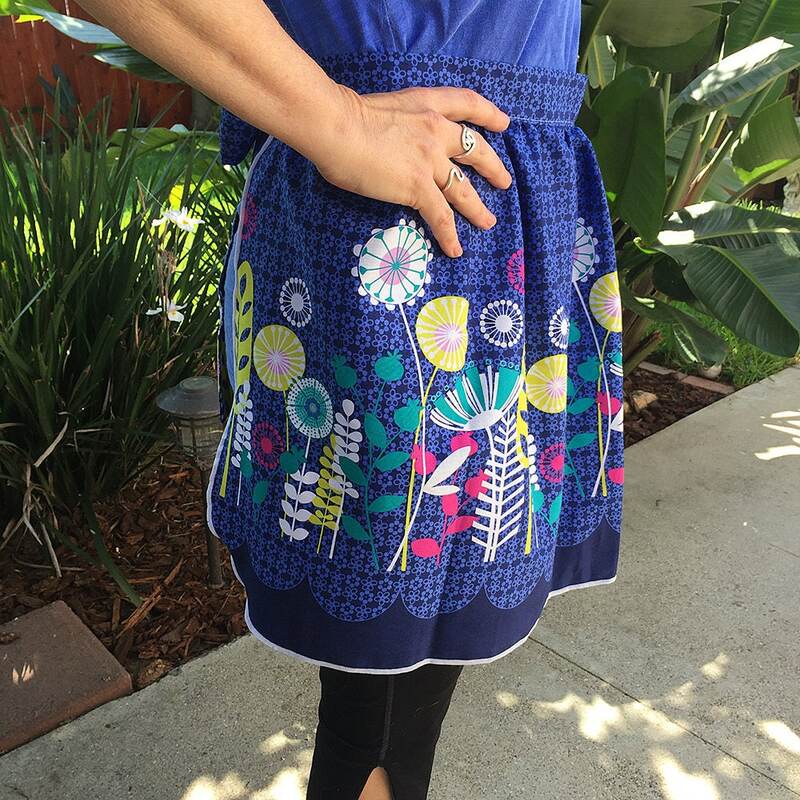 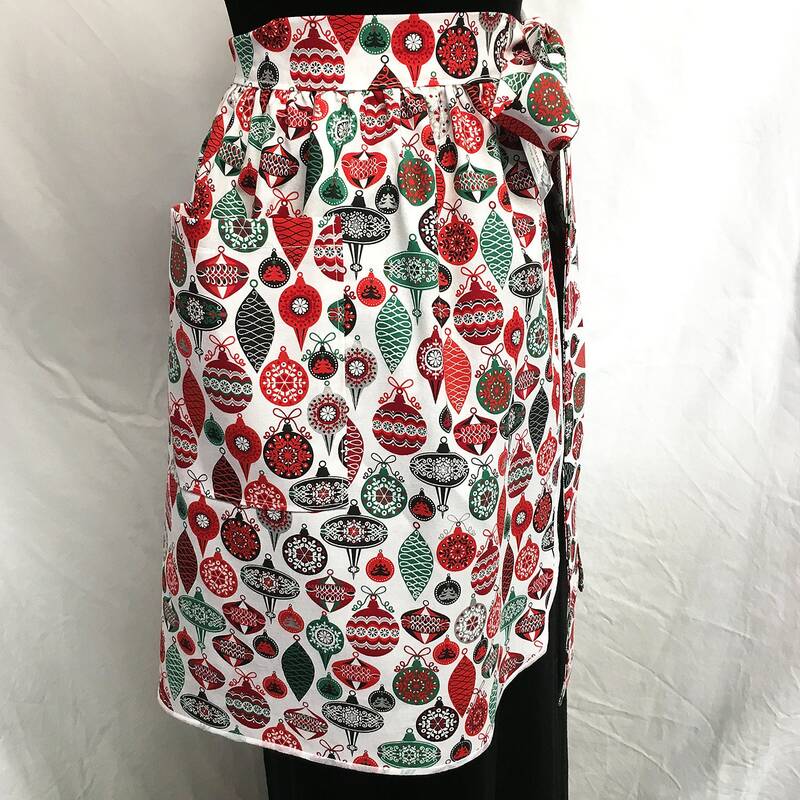 We resurrected an old 1950's sewing pattern to make vintage, pinup skirt style half-aprons that are both stylish and functional. 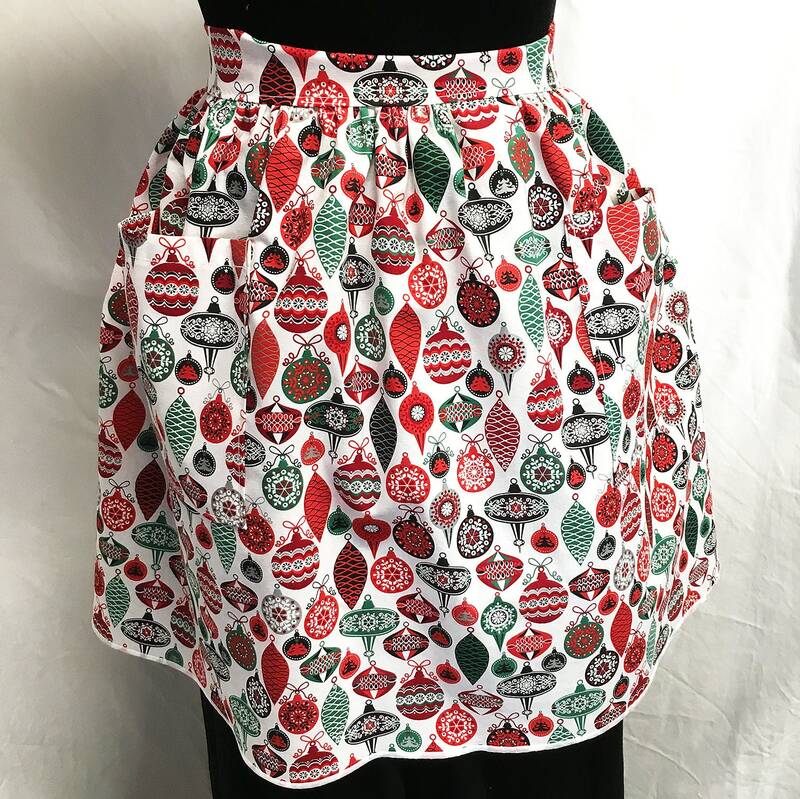 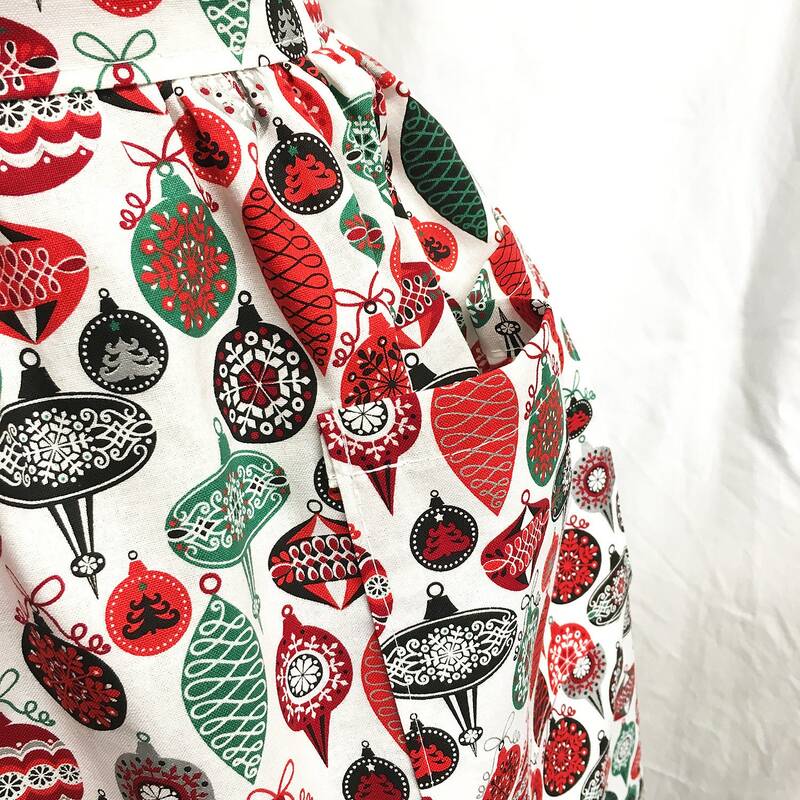 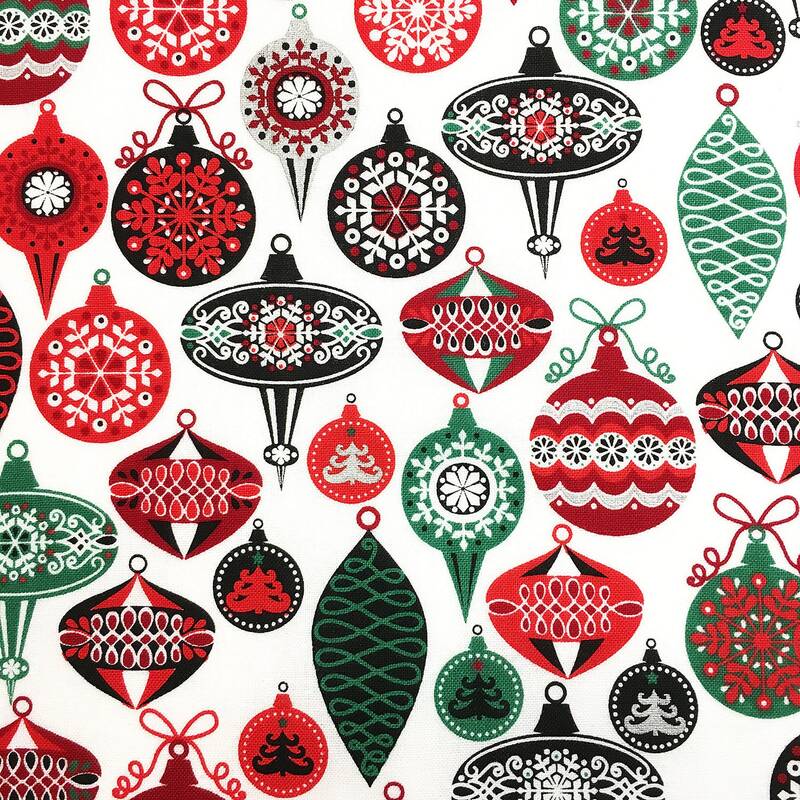 We sourced either vintage and contemporary fabrics, all of which are made of 100% cotton (unless otherwise noted), that are durable, colorfast, and easily washable. 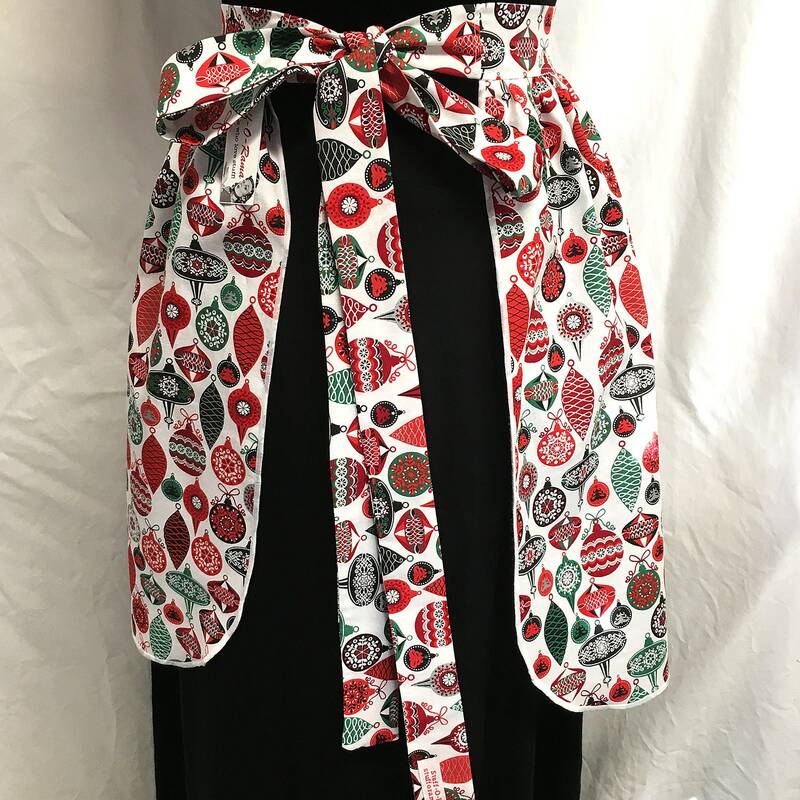 We deliberately made the ties extra long to accommodate any waist size, from 24" (60cm) up to 45" (114cm) If you take the apron and lie it flat: the left tie, middle band, and right tie measure 84" (213cm) end to end. 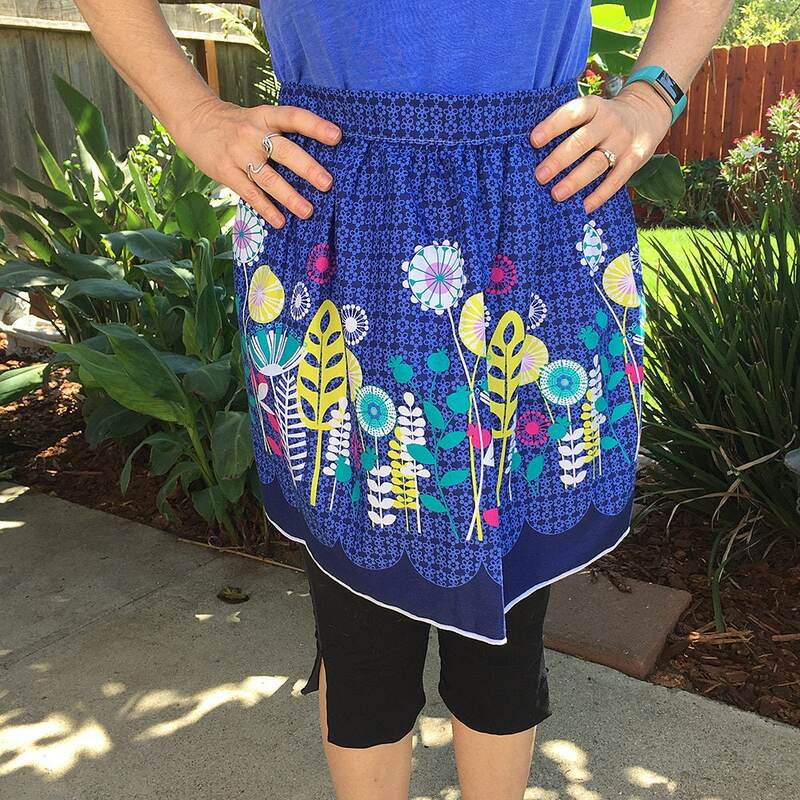 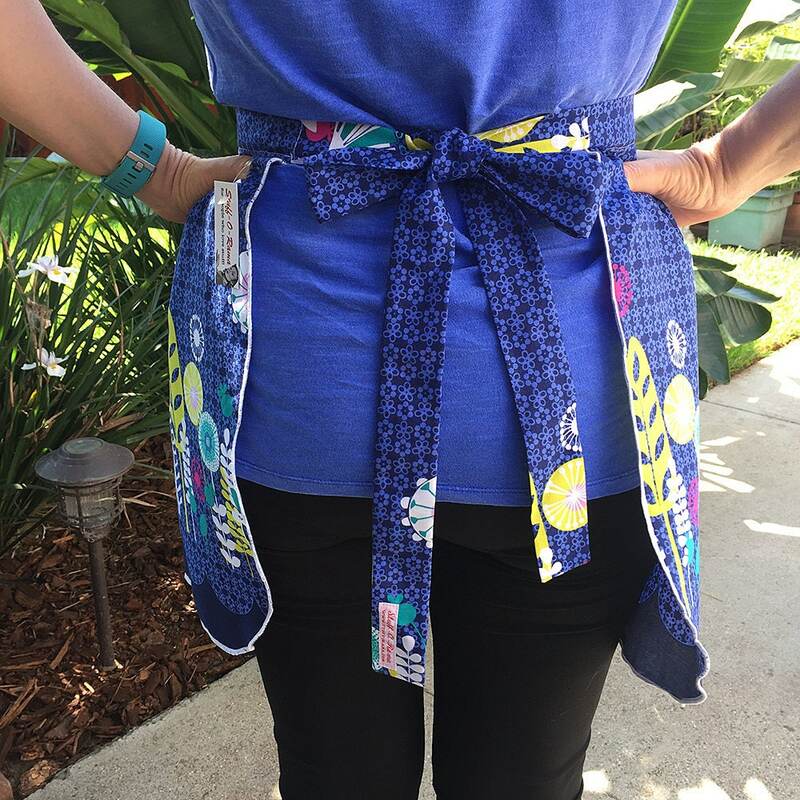 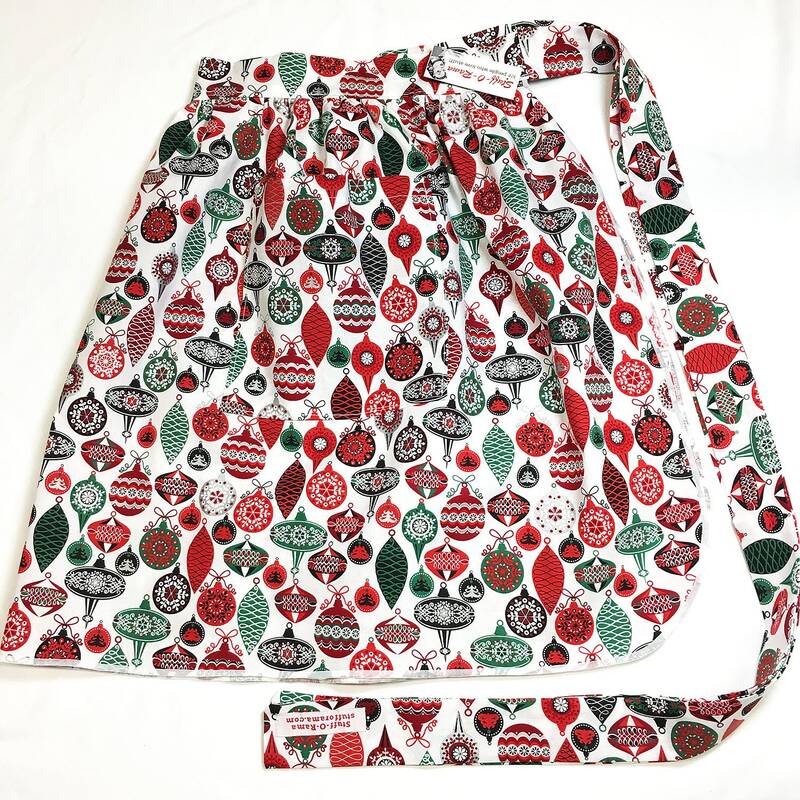 The front of the apron measures approximately 24" (56cm) in width, 19" (48cm) in length (from waist to hem).